One essential addition to any fast food menu is coffee. A lot of people will choose a fast food restaurant based on its coffee selection. While some of the chains out there are placing more emphasis on providing a variety of coffee blends and offerings, others have managed to find a blend that has become well-known for its quality and have stuck with that. The coffee at Dunkin’ Donuts is known for its consistency. Wherever you are, a Dunkin’ Donuts coffee retains the same quality. The chain has not made a lot of changes to its coffee offerings over the years because what it has chosen to offer serves it well. Dunkin’ Donuts coffee is made with 100% Arabica coffee beans, which are subject to some very precise specifications. While Dunkin’ Donuts does not offer a huge selection of different blends and flavors, it does offer coffee hot or cold, or with a Turbo shot or a flavor swirl. Most everyone taking advantage of the Dunkin’ Donuts Breakfast Menu will also grab the opportunity to enjoy a cup of Dunkin’ Donuts coffee. Click here for all Dunkin’ Donuts Coffee options and prices. Burger King doesn’t place a lot of emphasis on its coffee menu, but it does insist on high quality coffee. In fact, Burger King Coffee has been named Seattle’s best coffee brand. Burger King Coffee is a 100% Latin American Arabica blend. It is noted for its blend of sweet and nutty flavors with a hint of chocolate. It is considered to be a mild flavored coffee that works well with not only the Burger King Breakfast Menu, but any other of Burger King’s food offerings. Also, the cost of a coffee at Burger King is very reasonable. Click here for the Burger King coffee menu and prices. McDonald’s is one fast food chain that has placed a lot of emphasis on its coffee menu. McDonald’s coffee goes far beyond the McDonald’s Breakfast Menu. When you check out what’s on offer at McDonald’s, you will see a whole selection of great coffee drinks that go well with the entire McDonald’s menu. One of the most recent and biggest additions to the coffee offerings at McDonald’s is the McCafé coffee line released nationwide in the US. It is a fabulous blend of coffee that can be enjoyed as a plain cup of traditional coffee with a robust taste. It is equally good when used as a base for the McCafé Latte, Mocha, or White Chocolate Mocha, for example. 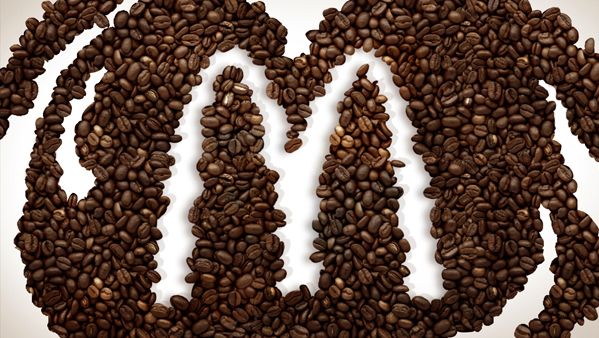 Click here for all McDonalds Coffee menu prices. Starbucks has gained a great reputation for itself not only for its famous Starbucks coffees but for the many other Starbucks drinks on offer (not to mention those available on the Starbucks Secret Menu). When it comes to selection, you are guaranteed to get the exact, unique coffee experience that you are looking for at Starbucks. Starbucks coffees come in whole bean, ground, VIA, K-cup, Verismo, and portion packs. In terms of roasts, you can get a blonde, medium, or dark roast. In the caffeine category, you can opt for regular or decaf. There are also a variety of choices when it comes to flavors, or you can stick with the traditional unflavored coffees. Click here for all the Starbucks Coffee menu options. Wendy’s has opted to keep it simple when it comes to coffee. You will find a full list of what the chain offers on its standard menu. The best time to experience a Wendy’s coffee is when choosing from the Wendy’s Breakfast Menu, although a coffee from Wendy’s is good at any time of day as Wendy’s insists on freshness. Also on offer is a version of a vanilla iced coffee that many patrons find refreshing and enjoyable. Click here for all the Wendy’s Coffee menu prices.